CNN's Lisa Sylvester is given access to the Bible President Barack Obama has chosen for his inauguration, a tiny book used by Lincoln. Washington (CNN) – With the world facing “perilous times” and “anxiety stemming from economic challenges,” evangelical leader Franklin Graham is asking congregations to pray for President Barack Obama, even though Graham endorsed the president’s opponent in the 2012 election. 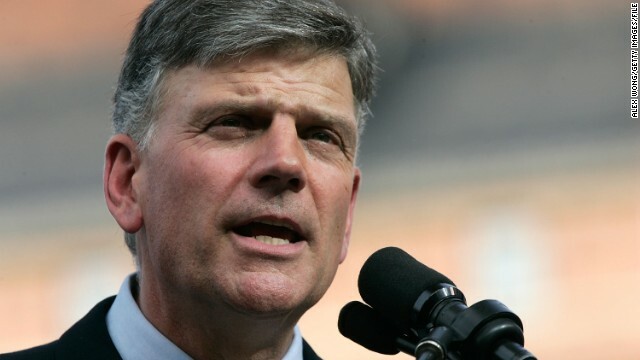 Graham - the president and CEO of the international Christian relief organization Samaritan's Purse and the Billy Graham Evangelistic Association - is the son of Billy Graham, the famed evangelist with many political ties. The elder Graham has met and prayed with every president since Harry Truman. 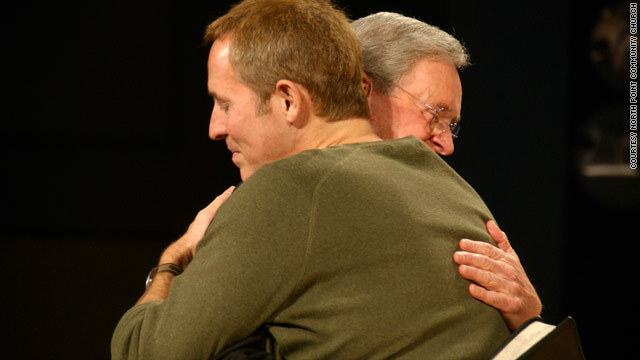 Andy Stanley, founder of North Point Community Church, embraces his father, Rev. Charles Stanley, founder of In Touch Ministries. (CNN) - Since President Obama’s re-election, pundits have asked if the Republican Party needs to change its message to adapt to a changing America. 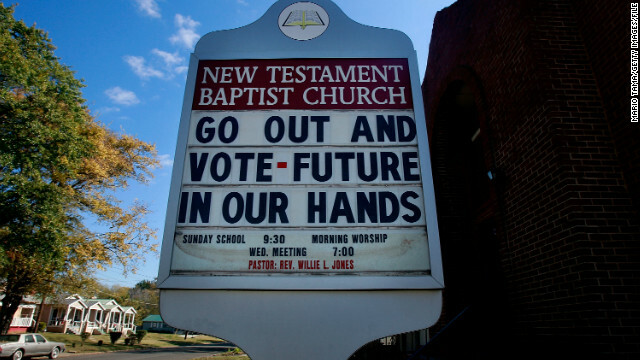 Here’s another question: Will conservative Christians have to adapt their message as well? I thought about that question as I interviewed one of the nation’s most popular pastors, Andy Stanley. He is a Christian conservative who is also the pastor of North Point Community Church, a sprawling 33,000-member church in suburban Atlanta, Georgia. (CNN) - The 2012 election has been widely hailed as a diversity moment — a coming out party for an American electorate no longer dominated by white men. And it was a triumph as well for religious diversity, thanks especially to Hawaii, which is sending the first Hindu to the House and the first Buddhist to the Senate. But is this religious change more symbolic than real? 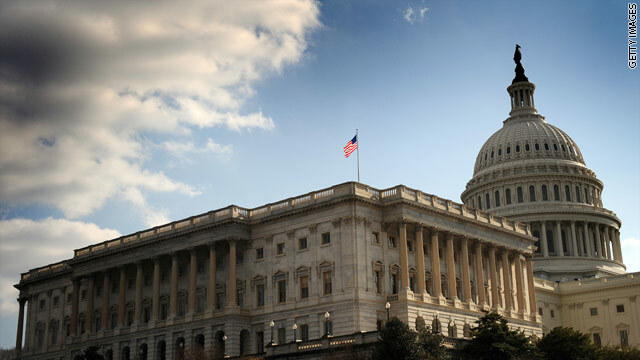 In “Faith on the Hill,” a study on religion in the 113th Congress released Friday by the Pew Forum, the story seems to be static rather than change. A quarter of President Barack Obama's supporters were religiously unaffiliated, the Public Religion Research Institute says. Washington (CNN) - President Barack Obama’s victory relied largely on two dramatically different religious coalitions - minority Christians and those with no religion – according to a survey released Thursday. 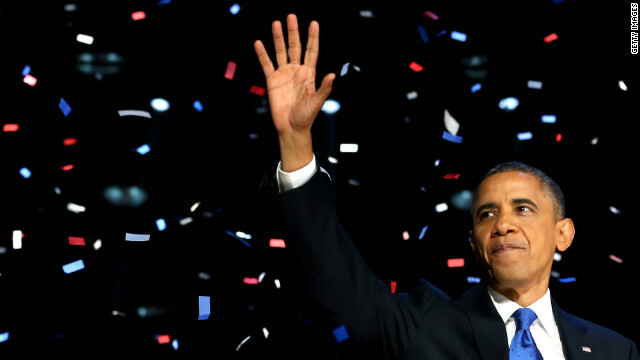 One-in-four Obama voters were religiously unaffiliated, the second-largest “religious” demographic in the president’s coalition, according to the study (PDF). Minority Christians - consisting of black, Asian, Hispanic and mixed-race Americans – made up 31% of Obama’s coalition, the largest religious group. Among major religious demographics, Obama struggled most with white Christians, including Catholics, mainline Protestants and evangelical Protestants. When these three groups were added up, they accounted for just 35% of Obama’s religious coalition. In comparison, Republican challenger Mitt Romney’s coalition was overwhelmingly white and Christian, with 79% of Romney voters identifying as such. 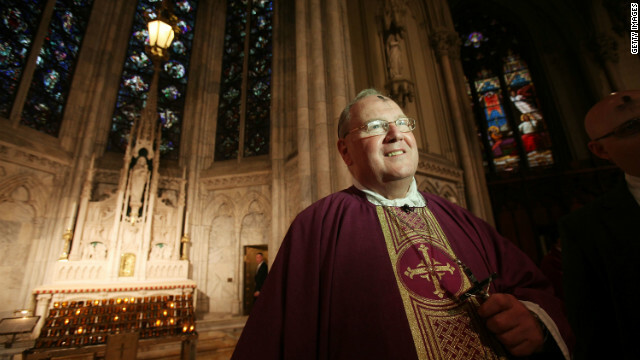 Archbishop Timothy Dolan sounded a nuanced tone on politics at a recent bishops meeting. Washington (CNN) – Emboldened by the re-election of President Barack Obama, a cadre of liberal Catholic activists and groups is waging a campaign alleging that America's Catholic bishops are out of touch with Catholic laypeople. The Catholic bishops, who are in Baltimore this week for a quarterly meeting, spoke out against the Obama administration during the election cycle over what they said were White House violations of religious freedom. Some bishops also spoke out against legalized gay marriage and abortion rights, positions embraced by many Republicans. (CNN)–As the nation winds down after a hard-fought and divisive election season, what needs to happen to heal our country? What have we learned? What can we hope for as we move forward? We reached out to religious leaders and spiritual thinkers to get their perspectives. Here are excerpts of what they wrote in response. (CNN) – In an election that broke boundaries, Hawaii elected the nation's first practicing Hindu to the U.S. House of Representatives. Congresswoman-elect Tulsi Gabbard, who will represent the state's second district, told CNN Monday that her election "shows the respect, diversity and love and aloha that people have in Hawaii that would allow for something like this to happen." The 31-year-old Democrat said she will take her oath of office on the Hindu religious text Bhagavad Gita in January. "I think it's a perfect time and a great time for Congress to start moving toward this representation on diversity and really this common ideal that regardless of what our differences might be, we all need to come together now to do what's best for the people," Gabbard said. “It’s demography, stupid!” is the new mantra for analyzing the 2012 election, in which African Americans, Asian Americans and Latinos cast their votes in overwhelming numbers for President Obama. But religious diversity was another key theme. How so? Let me count the ways. 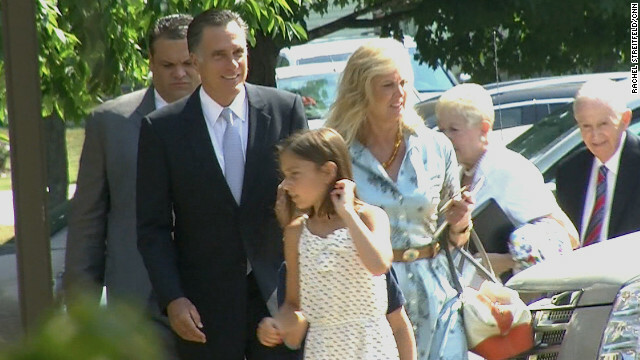 Mitt Romney attending church on Sunday earlier this year. Washington (CNN) – Mitt Romney’s defeat appears to close out a years-long “Mormon moment,” a period of national fascination with the Church of Jesus Christ of Latter-day Saints. It has also provoked Mormon disappointment; Romney would have been first Latter-day Saint in the White House, culminating a decades-long process of growing Mormon acceptance and influence. But prominent Mormons and religion experts say Mormons should be heartened that Romney’s candidacy appeared to help mainstream the relatively young faith, which was founded in 1830 in upstate New York. “Part of the Mormon moment was curiosity and much of that curiosity has been satisfied,” said John Green, professor of political science at the University of Akron.